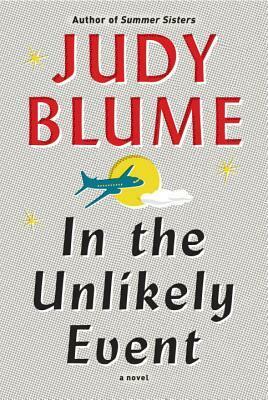 This month I’d like to share my review for IN THE UNLIKELY EVENT newly released by Judy Blume. I am a girl who grew up devouring Blume’s coming-of-age stories and needing that frank honesty in a world I didn’t quite understand. I had the chance to attend a lecture by Ms. Blume, as part of this book’s launch. It was a wonderful evening; a once-in-a-lifetime experience for me. It is a piece of historical fiction. The first I believe she has ever written. It centers on Elizabeth, NJ in 1951-52 dubbed “Plane Crash City” because three commercial aircraft crashed there within 58 days of each other. Ms. Blume was living in Elizabeth at the time, a little younger than the book’s main protagonist, Miri Ammerman, a 15 y/o Jewish American girl whose world seem to split at the seams in the wake of these tragedies. The story is an ensemble piece, built on short news articles and longer vignettes from probably 15 different characters, though the main voice is that of Miri. She is a girl who has never known her father, raised by her mother, grandmother and uncle–and they barely make ends meet. Her best friend, Natalie, is from a well-off family; her parents are married and her dad is a dentist. Miri and her mother are eye-witnesses to the first crash, as is Miri’s Uncle Henry, a reporter. He ends up making a name for himself, as the story winds on, covering all the investigations and the subsequent crashes. Miri’s friends all speculate as to the causes of the crashes–aliens, sabotage, Commies–it’s a freaky time to be a young person. Historically, WWII has barely ended and thousands of soldiers are still dying in Korea. Public awareness and political leanings of are fixated on McCarthy hearings and the Red Scare is very real. In Miri’s day-to-day, people she knows are killed in the crashes, as the planes sometimes strike homes and apartments in the closely-packed suburban area, and nobody can explain why. The strain of identifying dead bodies by the dental records drives Natalie’s father a bit round the bend, and Natalie’s sure she can hear voices of the dead and dying. I was struck by the deft interleaving of narrative arcs. Miri’s falling for a young man, Mason McKittrick, an Irish boy who is not a suitor of whom her Jewish grandmother would approve, then Mason becomes a hero in one of the crashes–and he’s seen on his own merit. The affair between them them is intense for both, but it’ s not enough–for reasons only Mason can explain. Meanwhile, Natalie’s family is falling apart, and Miri’s family is so deeply entrenched in that debacle that their friendship suffers greatly. Looming overhead is the constant prospect of another plane falling from the sky. The public backlash is fierce, even causing the closure of Newark Airport for a time, while the runways and airline patterns are rebuilt/rerouted. It’s an engrossing read that kept me up well past a reasonable bedtime. The story spans thirty-five years–from late 1951 to early 1987, so we get to see how many of the players fared in the wake of such tragedy. The actual events of the crashes were meticulously researched by Ms. Blume, and the detail of the story is so rich–down to the “archaic” practices of 50s fashion (putting angora sweaters in the fridge!) I was captivated. I will always love the YA fiction of Ms. Blume and my childhood, but this all-grown-up story was fascinating and uplifting, even at it’s lowest. Interested? You can find IN THE UNLIKELY EVENT on Goodreads, Amazon, Barnes and Noble and most other stores and libraries. 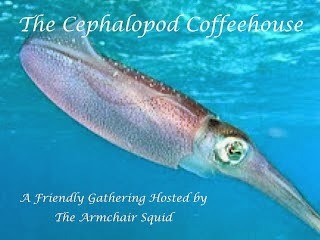 Thanks for popping in, and don’t forget to check out the reviews from my fellow Coffeehousers! That sounds so good. I’ve only read one adult novel by Judy Blume, and that was many years ago. I will probably like this book. I’ve always loved Judy Blume. I’m so glad she’s still writing. I’ll have to check this one out! That sounds pretty good, actually. I probably won’t get to reading it, but I kind of want to. I know it’s a genre that doesn’t appeal, but it was a quality story. It’s been a long time since I’ve read a book that kept me awake like that. Are You There, God? It’s Me, Margaret was a significant addition to my daughter’s world this summer. I’ve never read Margaret. My daughter is on the brink of that stage. Perhaps it’s time I read it. Hi Veronica! Nice to meet you! 5 out of 5 stars to In the Unlikely Event. Judy Blume is masterful. I haven’t read this, but must remedy that! And yes, Judy knew what a girl needed to know growing up! And thanks for visiting my post! My pleasure! I hope you like it. I have never read Judy Blume but I use to see all the ad when in the Bookstore. Daughter never read them but I have been interested in picking one up. Thanks to you this will be the one.